“I like a little rebellion now and then”—so wrote Thomas Jefferson to Abigail Adams, enlisting in a tradition that throughout American history has led writers to rage and reason, prophesy and provoke. 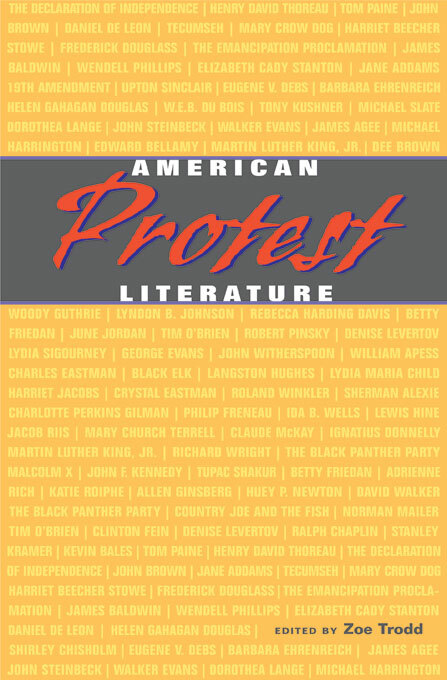 This is the first anthology to collect and examine an American literature that holds the nation to its highest ideals, castigating it when it falls short and pointing the way to a better collective future. 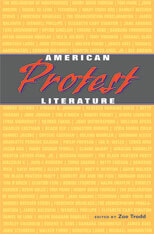 American Protest Literature presents sources from eleven protest movements—political, social, and cultural—from the Revolution to abolition to gay rights to antiwar protest. Each section reprints documents from the original phase of the movement as well as evidence of its legacy in later times. Informative headnotes place the selections in historical context and draw connections with other writings within the anthology and beyond. Sources include a wide variety of genres—pamphlets, letters, speeches, sermons, legal documents, poems, short stories, photographs, posters—and a range of voices from prophetic to outraged to sorrowful, from U.S. Presidents to the disenfranchised. Together they provide an enlightening and inspiring survey of this most American form of literature.